Kwame Nkrumah University of Science and Technology (KNUST) has showed off another dominant performance in Zone 5 of the Universities, Polytechnics and Colleges (UPAC) Basketball Championship to progress to the quarterfinals of this year's edition. 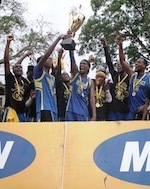 KNUST topped the zone after recording a 35-19 win over close rival Kumasi Technical University (KsTU) in the final game. 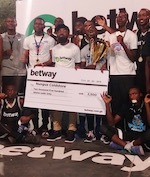 The qualifiers were played at the Opoku Ware School in Kumasi with Christian Service University College also competing. A cagey exchange in the opening quarter was followed by a composed display from KNUST to lead 18-9 at the end of the first half. KNUST continued to improve as the game wore on and held a 24-14 lead heading to the final quarter. Kumasi Technical was shy of shooting the three point shot and the team's difficulty finishing off drives limited its chances of catching up to KNUST who cruised to the finish. Christian Service exited the competition without a win after falling 3-58 to KNUST and lost 9-50 to KsTU. This KNUST's sixth straight qualification from the zone to the quarterfinals of Ghana's biggest tertiary basketball competition. KNUST's best performance was in 2015 when the side placed second at the national competition behind Accra Technical University. KNUST joins four other institutions that have qualified to the quarterfinals including Takoradi Technical University.